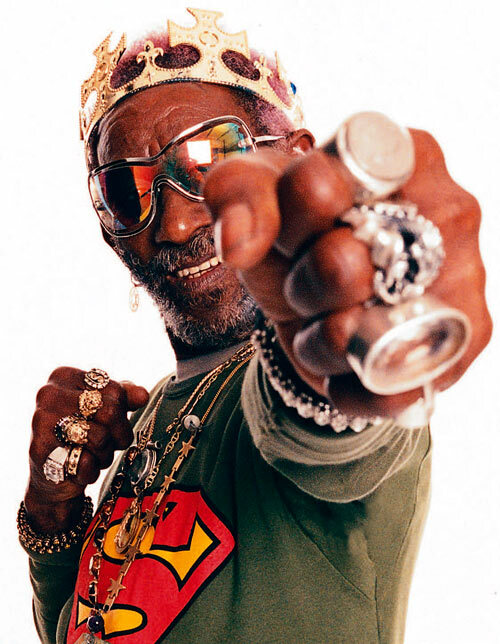 If there’s ever an important message and lesson learned from this documentary film that explores 70 years in the life of Lee ‘Scratch’ Perry, it’s to avoid taking on more than you can handle. The message also is to invite few into your world of spiritual and monetary success, because those who don’t deserve your invitation will surely be the cause of your downfall. 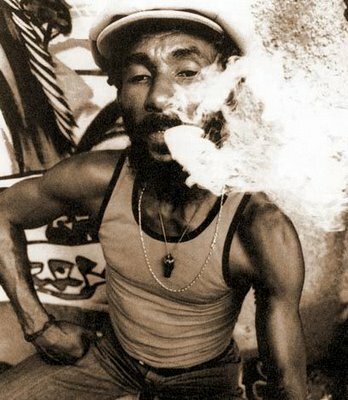 Failure to adhere to the mentioned warnings will leave you with two options, according to the film documenting much of the life of Bob Marley’s mentor, reinvent yourself to survive or accept your demise and then disappear into irrelevance. Luckily for Lee, he chose the former. The Upsetter film was written, directed and produced by independent filmmakers Ethan Higbee (Red Apples Falling, The Anti-Fascist, Basedworld) and Adam Bhala Lough (Bomb The System, Weapons, The Carter), who over seven years of the film production, seemed to be the only fortunate folks to catch up with Lee for the coherent one-on-one interviews featured in the film, which made this particular film special. The movie also includes past rare music-related footage from the beginning of Perry’s career, bits of, which are seen on most well-documented historical reggae films. From Lee’s early childhood, the movie unfolds chronologically moving the viewer from Lee’s introduction to the Jamaican music industry, to his relationship with Bob Marley; then the rise and fall of his once vibrant Black Ark studio to his temporary ‘disappeared’ stage of depression and drinking, and seeking his refuge to Switzerland with a new life, wife Mireille, new family (including 2 kids) and re-launching his music career, as a solo artist. Narrated by Oscar-winning actor Benicio Del Toro, The Upsetter film captures magnificent still photography and unseen video both past and present that, even as fast as they flash across the screen, muster-up a million questions, “How was life in the past for Jamaicans?” “What truly shaped the many musical geniuses from such a small island in the Caribbean, impacting and influencing the many gems we know and possibly take for granted as ‘popular’ or ‘underground’ music of today?” Lee ‘Scratch’ Perry creatively pushed us forward by inventing his own unique formula in productions, propelling hundreds of hit-records behind the vocals of such artists as Max Romeo, Bob Marley, Junior Murvin, Junior Byles, and The Congos, just to name a few. He was definitely at the forefront of this golden time, laying the foundation for the purest and most original forms of electronic music and hip-hop, before these genres even adopted their names or had an established industry behind them. But besides an obvious focus on the spark in music technology led by Lee, Jamaican lingo and lifestyle, Lee’s depth of religious fanatical behavior, his fascination with painting art, his non-reggae production credits featuring The Clash, Beastie Boys, Paul McCartney (all of whom are featured in this flick) and his bizarre display of humor (of which there’s lots in the movie to absorb), the most powerful aspect of this film is how and why Lee ‘Scratch’ Perry has become who he is – father, husband, singer, songwriter, producer, poet, painter, genius and madman aka ‘Pipecock Jackxon’, ‘Super Ape’, ‘Ringo’, ‘Wonder Man’, ‘Jamaican E.T.’ and many other monikers. On the surface, he appears to be a misfit or completely insane, but nobody remains married, raises a family and continues to record, tour, win a Grammy and remain as musically relevant 40+ years after his career took flight. Unless… well I won’t give away the most bizarre piece of insight Lee hints at throughout parts of the film, enabling him to escape his own demons, outside parasites and other earthly-bound human hindrances, in order for him to live successfully on whichever planet he pleases. 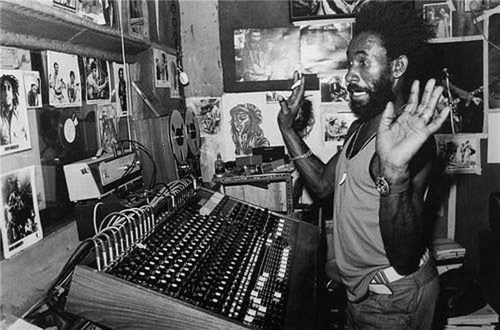 Lee ‘Scratch’ Perry recently celebrated his 75th birthday. Mr. Marlon continues to be a contributing writer/blogger for UK's Colourful Times (under the alias "Dj Pelau"). He's an ex-music columnist for The Beat Magazine's Musical Murder (under the alias "Mr. Marlon") for 10 years (1997-2007); a previous staff writer for HipHopSite.Com (1996-2006); a music reviews regular as part of the BPM team; and was the music editor for Unleashed Magazine (2005-2007). He's also been a music consultant for 2 specialty channels at DMX Music Inc. for 10 years (1998-2008) for their Custom Sean John Channel and the Reggae Channel. Many of his stories, reviews and features have been published when he used to be a regular contributing writer for Rolling Stone, Source, Vibe, URB, Upscale, Rappages, ATM, Jahworks.org, Earplug, and HipHopDX.com. As a resident DJ at The Standard Hotel "Rooftop Bar & Pool" Downtown Los Angeles for 3 years (2005-2008), he's also produced and co-supervised some unique themed-compilations for Petrol Records and continues to DJ throughout LA privately, for music festivals, special events or outside of LA, wherever his immaculate taste in music requires him to travel.